As parents, we always want what is best for our children. We want them to grow, learn new things, make friends, and succeed. We want to shelter them from pain and negative experiences in life so that they can develop into happy, healthy, and productive people. As children enter school and begin to face new challenges like academic difficulties, grades, and evaluation of performance, we often start to worry and want them to excel and do well in school. This worry can trigger anxiety in parents and can sometimes translate into criticism, which can be detrimental to fostering positive self-esteem in your child. Beware of the wrong kind of praise. Evaluative praise like, “You are so smart, look how well you did on your test!” or “You’re such a great athlete!” can lead your child to seek validation from external sources and ultimately have a negative impact on self-esteem. False praise that overstates accomplishments can cause your child to avoid risk in order not to disappoint you and potentially robs them of the opportunity to learn, explore and master new skills. To improve your child’s self-esteem, use descriptive praise or feedback that is specific and focused on describing their behaviour, such as efforts, strategies, and persistence, rather than providing an evaluation of it. From their first steps to learning to read and master new skills, your child is developing self-confidence. Teaching a new skill, even simple ones like planting flowers, putting away the dishes, or making a song list from YouTube, is empowering and can help to boost self-esteem. Mastering a specific task or activity can be facilitated as you help your child break down difficult goals into smaller, achievable ones. It is fair to say, though, that mastery is not always seamless and without challenge or failure. However, the ability to overcome these obstacles and bounce back is crucial to the development of your child’s healthy self-esteem. It is essential not to cushion failures nor criticize your child’s character when they fail. You can help your child develop coping skills when they encounter failure or obstacles by providing them with specific assessments or feedback of their behaviours in a constructive, respectful manner that is geared towards helping them improve. Saying, “You are lazy”, may cause your child to believe that failure stems from something permanent and fixed, over which there is no control. Alternately, “You didn’t try hard enough today”, focuses on effort and expresses that the failure is due to a temporary personal cause that your child both does have control over and the ability to change. Convey confidence in your child’s capacity to change and offer your support and encouragement, sometimes in the form of outside help, such as a tutor. Teach your child that success is not a measure of their value and that with persistence and hard work they will be able to overcome challenges and disappointments and accomplish the goals they are striving toward achieving. During the elementary years your child will experience more and more pressure to be connected with peers and social platforms, which have the potential to positively or negatively affect image, depending on your child’s usage and the number of likes or positive comments they receive online. As your child navigates through the early school years, their use of technology will become more independent. Therefore, it is vital to instill rules early on to start developing healthy habits on managing screen time. Although firm, these rules should be flexible regarding content and concerning the number of hours spent using technology on weekends and holidays vs. school nights. You can start this conversation by framing too much screen time as a health issue, like getting enough sleep or taking a shower, and ask your child to talk about all the things they are missing out on when they are using their screens. Perhaps bringing to light all the other things your child enjoys might encourage limiting screen time and motivate him or her to engage in other pursuits. With media pervasive in our society, your child will be bombarded with messages from advertisers. Educate them about the strategies that advertisers employ to sell their products to children. Find appropriate and inappropriate messages concerning body image, diversity, gender, and social issues. Explain to your children what your values and beliefs are and how these messages either align or do not align with those beliefs and values. Encourage your child to use screen time to watch programs that involve learning something new, such as history, nature, art or craft shows, and find ways to use screen time together as a family. Whether it’s video chatting with a relative or using the internet to research something of interest, the point is to do it together. Finally, children learn what they live, so model healthy screen habits, turn off screens and put away cell phones during meal and family time. Being aware of what you can do to foster self-esteem in your child as they enter school and enter a new stage in their life is a gift. 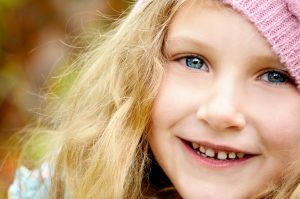 With this knowledge and your efforts, you will undoubtedly be planting and nourishing the seeds of positive self-worth and self-acceptance throughout your child’s life. Raising Children Network. “Praise, Encouragement and Rewards.” Raising Children Network: the Australian Parenting Website, Raising Children Network , raisingchildren.net.au/articles/praise_and_encouragement.html. Raising Children Network. “Advertising and Children.” Raising Children Network: the Australian Parenting Website, Raising Children Network , raisingchildren.net.au/articles/advertising.html. Wilson, Stevie. “Building Your Child’s Self-Esteem with Descriptive Praise.” Building Your Child’s Self-Esteem with Descriptive Praise | Stevie Wilson, LPC, www.steviewilsonlpc.com/improve-child-self-esteem/.